The Rancho Alamitos Alumni Association was formed as a result of The RAHS 50th Anniversary Celebration in 2008. Alumni, staff and the administration worked together to do something memorable for the momentous occasion. Afterward, the Alumni were inspired and motivated to form Rancho’s first ever all Alumni Association. Alumni participation from all graduating classes will allow us to serve the School more effectively. The goal is to promote our Alma Mater and assist the faculty and most of all the students through membership, education, social and community services as well as scholarships, such as the John Callard Memorial Scholarship. Your yearly contribution will be put to good use and at the grass roots level. 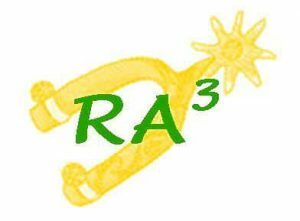 RA3 memberships are paid annually. Lifetime memberships are available. A renewal email will be sent to you annually when it is time for you to pay your membership dues. Renewals and new memberships will always be available for you when you attend the Annual RA3 Picnic. Look for us at your class reunion! Your Involvement is the Key to our success.